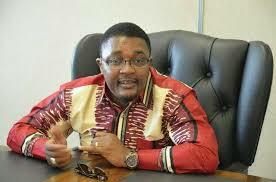 Zimbabwe will re-engage its erstwhile coloniser the United Kingdom and the United States of America to mend broken relations and create vibrant trade and economic ties, Foreign Affairs Minister Dr Walter Mzembi has said. Addressing heads of diplomatic missions in Harare yesterday, Minister Mzembi said economic diplomacy shall ride on enabling legislation and other legal instruments like the Indigenisation and Economic Empowerment Act and the President’s 10-Point Plan. He said in the globalised and interdependent world, an egocentric pursuit of foreign policy would be both “blind and defeatist”. “I shall seek an honest and forthright dialogue with these countries in order to let go the past and explore and pursue mutually beneficial economic opportunities. The rapprochement we seek shall be anchored in new vibrant trade and economic relations,” he said. “As we seek new economic relations, we will refocus on the 2015 Lima Process on our debt payment plan. I am confident that together, we can revive that process. We will honour bilateral economic agreements we entered into with our valued partners including Bilateral Investment Promotion and Protection Agreement (BIPPAS). Where we have discomforts, we are prepared to find solutions which will not prejudice either party. Minister Mzembi said he would be nurturing and consolidating old friendships to make Zimbabwe the most attractive foreign investment designation while regional cooperation and continental integration would also remain key. He commended countries that have stood with Zimbabwe during her time of need including Russia, China, India, Iran, Cuba, Malaysia and Pakistan. “Pan-African principles, values and ethos shall guide our foreign policy in consonance with the direction already charted by our President, a great African icon himself,” he said. “I look forward to working closely with our African colleagues to deepen and transform these relations into significant and mutually beneficial economic ties, and most importantly, to realise our integration in line with the SADC Revised Indicative Strategic Development Plan (RISDP) as well as the African Union Agenda 2063 towards peaceful and prosperous Africa,” he said.